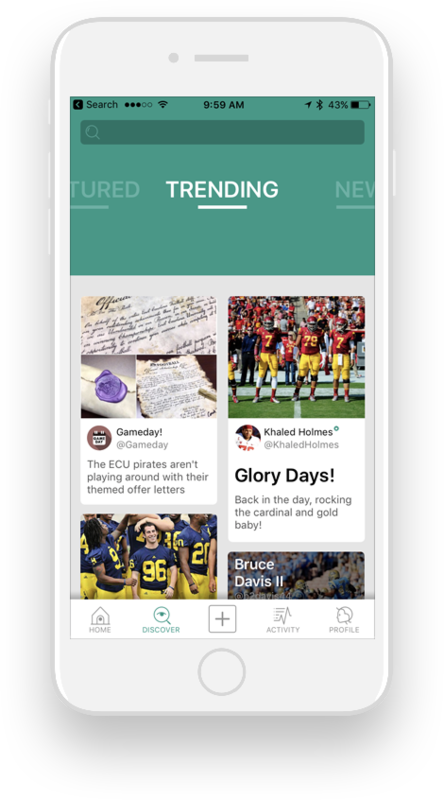 Talegate is more than an app, it's a fervent community where true college football fans connect & share their passion for the game and their team. Nowhere else can you create & engage with new content every day that's purely focused on college football. 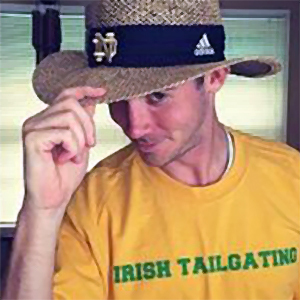 It's simple; if you love college football, you need to be on Talegate. Talegate is the only social community focused entirely on college football. What you create, what you view, and what you interact with doesn't compete with pics of your friends children at the pumpkin patch. Talegate is all college football - all college football fans - all the time. Where does your love for college football come from? What's your favorite college football moment? What excites you about this year, this game, this player? Now you have platform where the answers to those questions matter and others are interested to know them. Talegate is a new community and is currently focused on NCAA Division 1 teams, particularly the Pac 12. But - if you're a University of Michigan fan or an Alfred State fan... Talegate is still for you. Join, get your friends on, and let the love you have for your teams be known! Whether they're current players & students or former players & alumni - or people who simply love your team's mascot - your fellow fans are on Talegate (or will be). Some of your fiends may not understand why you own a USC branded adult onesie - but your Talegate friends certainly will. Talegate is all about bringing you closer to college football and your favorite teams. Contests and giveaways are one way in which we will deliver on that experience. Prizes will offer Talegate members exclusive experiences and items that aren't openly available anywhere else. Talegate is a mobile-first experience supporting both Apple and Android users. Your posts can also be shared to major social networks and viewed in a browser. Talegate is great now but you can expect awesome new features and improvements to the application on a regular basis. What They Say About Our App. Even though I played professional football for three great teams my heart is and will always be in college football first, especially for my alma mater USC. Talegate has gotten me more deeply connected to the world of USC football. I'm excited to open the Talegate app every day to share and see what my fellow USC fans are posting. The moment I happened on Talegate I wondered, "How has this not existed before!?" And then I joined immediately. Football is a religion at Notre Dame and I feel like I've been missing church for many Saturdays now. Being a part of Talegate has really made me feel like I'm connected to "my people" again. I love it! I missed UCLA football the moment the final whistle blew in my last game. 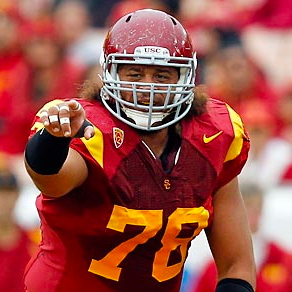 Then Talegate came along and the void that was once UCLA football started to fill. 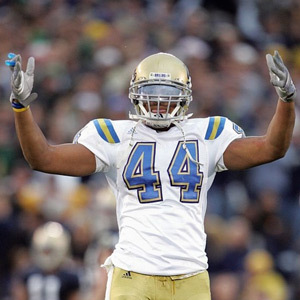 I get so excited when I see a former UCLA player join Talegate - even if our paths didn't cross on the Rose Bowl Field. I feel like I'm a part of UCLA football again! It's wonderful. Talegate is free to join and to be a part of - so download, register, grab your personal @handle and start posting, commenting, replying, liking, and sharing right away. Are you a true college football fan? Then you need to download Talegate right away!